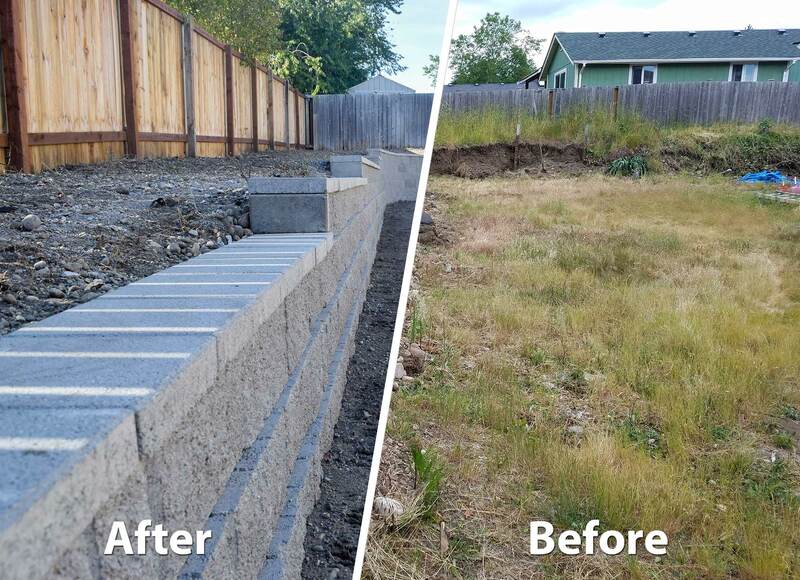 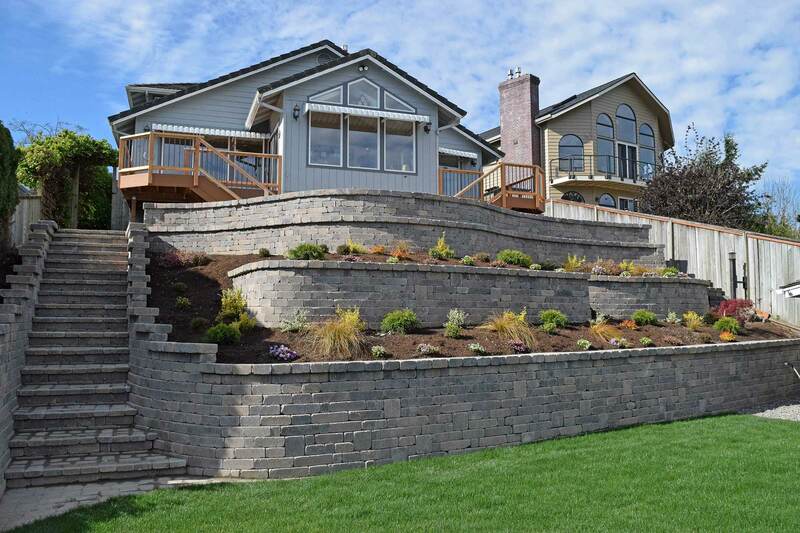 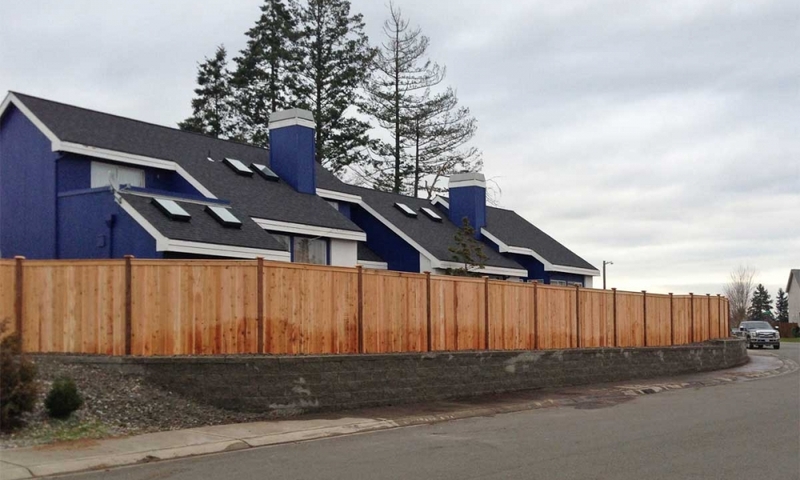 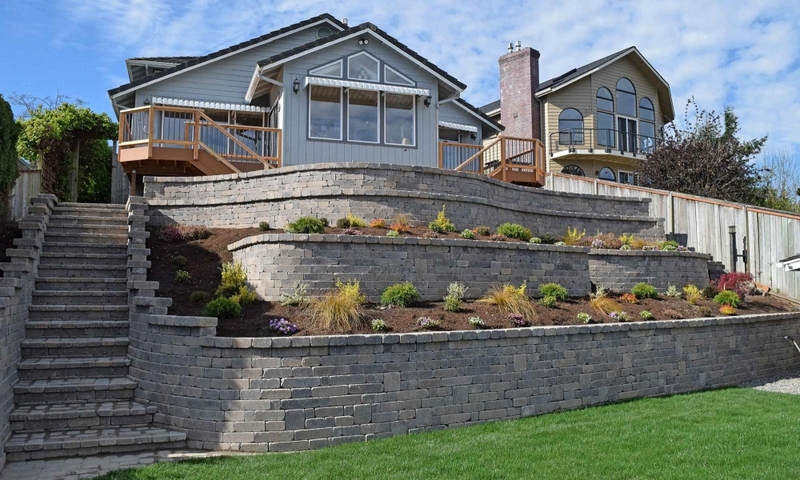 AJB built this retaining wall in the Meadows, a subdivision in Lacey. 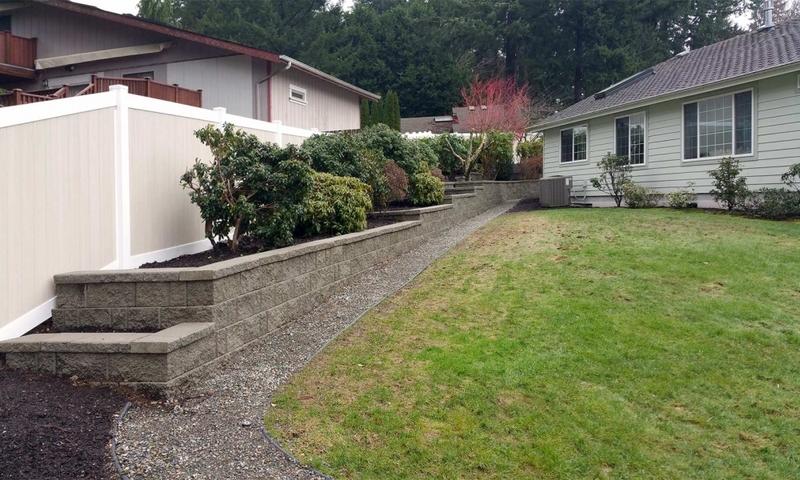 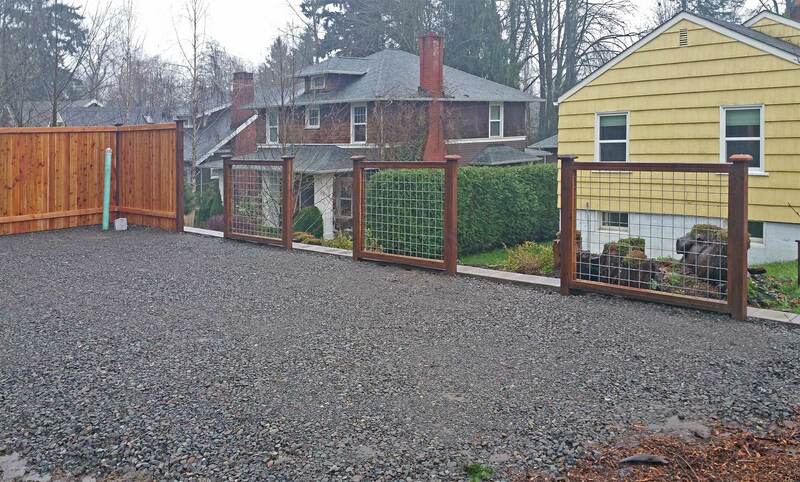 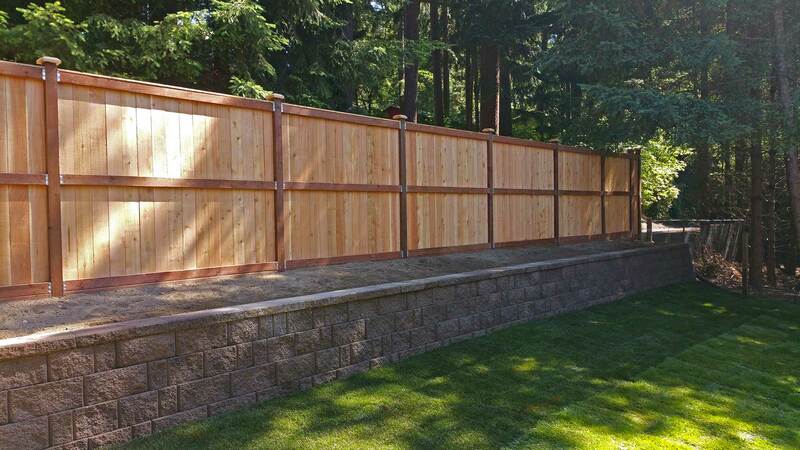 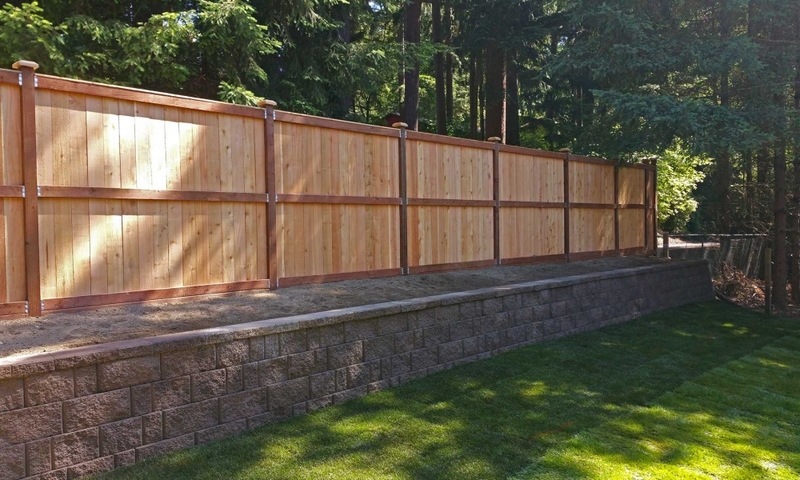 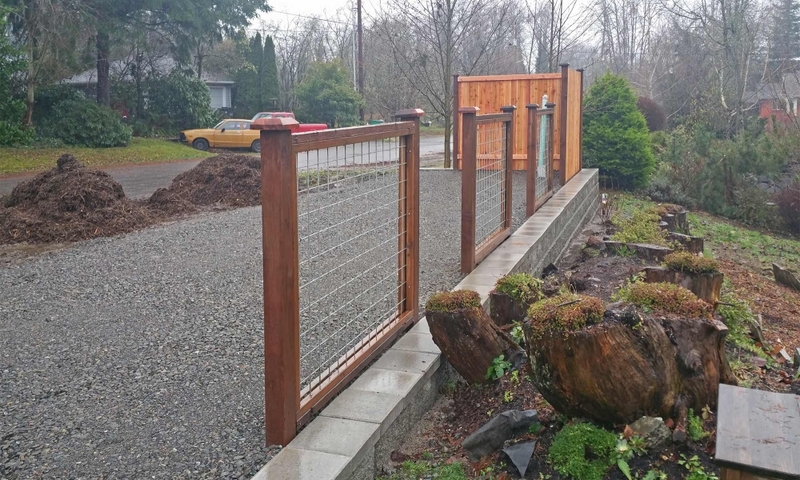 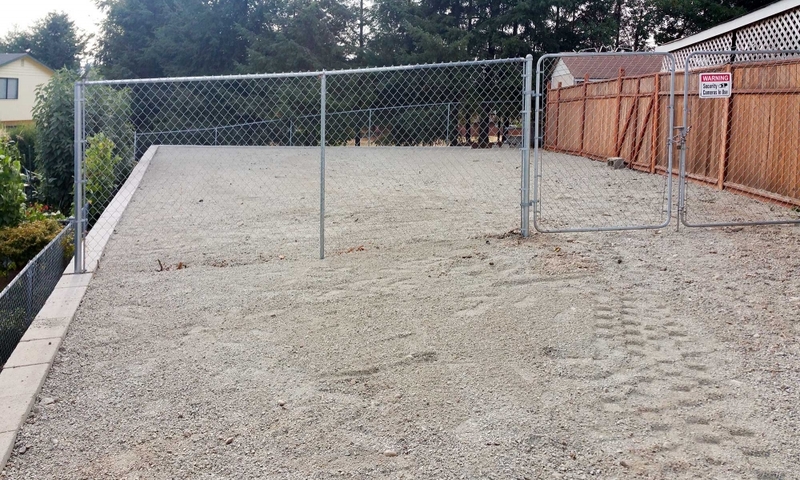 AJB Landscaping & Fence installed this 3 foot retaining wall with 6 foot fence to create privacy and cut down on noise and light pollution from the road behind this Lacey property. Tiered retaining wall with complementing vinyl fence. 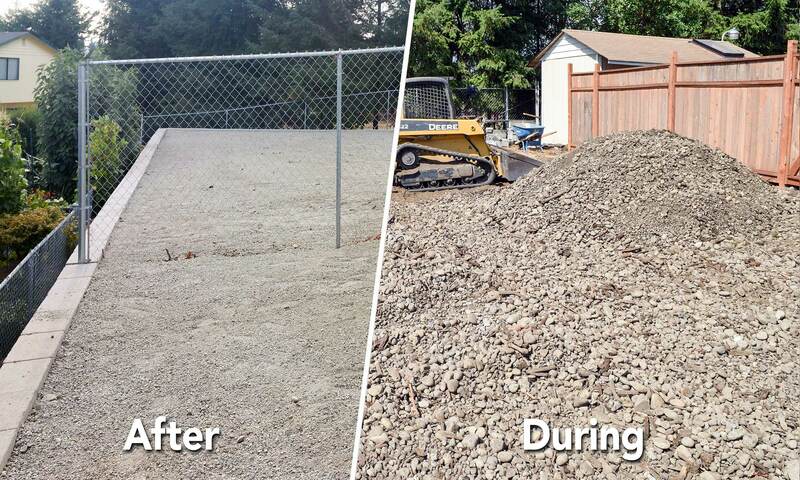 Point to the image to see how it looked before the transformation.